← Blog Tour Kickoff — and a special price! 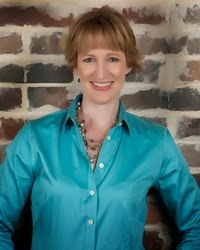 Aven Ellis: Author of “Waiting for Prince Harry” — plus a giveaway! Aven Ellis’s website describes her as an “author of stories about the girl trying to figure out her career, her dreams, and the guy.” During the past year, she’s published Waiting For Prince Harry and Connectivity to rave reviews. I am so happy to have her here today. After the interview, leave a comment for a chance to win an e-book of her latest release, Waiting for Prince Harry. Your latest novel, Waiting for Prince Harry, has received a lot of attention and praise from readers and bloggers of “chick lit.” What can you tell us about the story? Thank you! 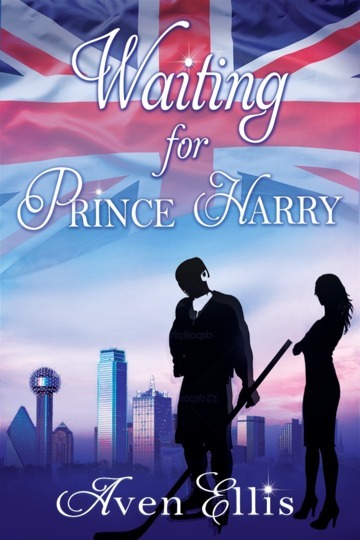 Waiting for Prince Harry is about a young woman, Kylie Reed, who is afraid to live her life now, and puts everything off for the future so she doesn’t have to face it. But all of that changes when she falls into the lap of hockey star Harrison Flynn, a ginger who is even hotter than her dream crush, Prince Harry. This caught me by surprise, actually, but readers really love the sports angle of the romance and that the lead is a hockey player. They love that Harrison is hot and completely respectful of Kylie. I love the message in the book-that if you believe in yourself, and have the courage to take action, great things can happen in your life. Before Soul Mate Publishing picked up Connectivity, you wrote several manuscripts that weren’t as lucky. What did this process teach you about the industry? Getting published is HARD. You have to keep trying, keep learning, and keep growing with each manuscript you write. I evolved from writing romances with both points of view to one, because that is where I found I truly nailed the character and the work. It took me about four manuscripts to figure that out. So even if there are loads of manuscripts that never make it out from under your bed, so to speak, you are learning with each one. Spreading the word is one of the most daunting aspects of publishing with a smaller press. How do you get your titles out there? I think you have to work on it every single day. I’m always looking for new bloggers to read my work. I’m very active on Twitter and have been blessed to meet some incredible people who believe in my work and help support it. It is very hard and the bad days really leave me questioning why I’m doing what I’m doing. But then I’ll get a tweet from someone who tells me how much they enjoyed one of my books, or an email saying that my stories are what they read to make them laugh and swoon—and that is why I keep writing my quirky little books. Keep writing. No book is wasted experience! You always learn something from the process. Write what you want and not what the market dictates. Chronicles of a Lincoln Park Fashionista, a New Adult Chick Lit, comes out this fall. I’m really excited about this book, as it involves a heroine named Avery Andrews, who is working for an airline and who is selected to participate in a documentary show about her job. But the documentary opens her eyes in more ways than one–and in particular to her assigned cameraman, Deacon Ryan. In addition to blogging at avenellis.com, Aven likes connecting with readers on Twitter (@AvenEllis), Facebook, Instagram, and Pinterest. Her books are available at both Amazon.com (US) and Amazon.co.uk (UK). Comment below to win an e-copy of Waiting for Prince Harry. The giveaway will remain open until 11:59 p.m. (PST) Tuesday, June 10, at which point a winner will be chosen at random. What’s a blog tour without a price drop? 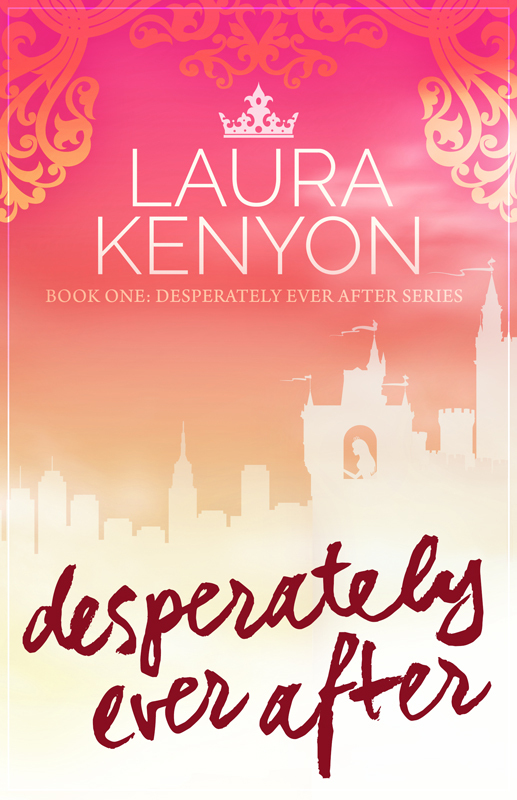 For the month of June, in conjunction with my Fiction Addiction blog tour, the e-book of Desperately Ever After has been marked down to just $2.99. It is also available in print. Centered around a group of friends who just happen to live in castles … it’s Desperate Housewives meets the Brothers Grimm … ideal for Once Upon a Time withdrawal … and perfect for your beach bag! 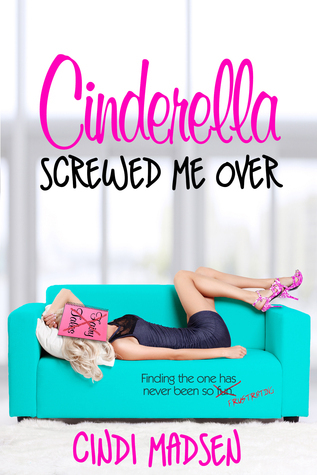 Next Wednesday, June 11, Cindi Madsen will stop by to talk about her latest novel, Cinderella Screwed Me Over. Dear Ms. Ellis, even though Prince Harry is young enough to be my son, I adore him! I cannot wait to read your book. Every book that Laura has recommended was a delight. Thank you so much! Hockey players are definitely underrepresented in romance literature:) I’m looking forward to reading “Waiting for Prince Harry”. Cathy–Thank you, I hope you enjoy it! And I’m just starting my second hockey romance now. I’m not done with hockey yet, LOL. The interview is great, do you have much success with her books. Enjoyed your interview, especially your Kate Middleton answer!! This current book sounds great and I was intrigued by your next one as well. Great Interview! I love Prince Harry 🙂 Also I love your answer about Kate Middleton! She’s so classy. I really enjoyed the interview. I think it would be very hard to get published today. I’m glad you used it as a learning experience. I think some of the hardest things would be reviews. Sometimes people just are not tactful in expressing things whether good or bad. Your book sounds very enjoyable. I’d love to read this.